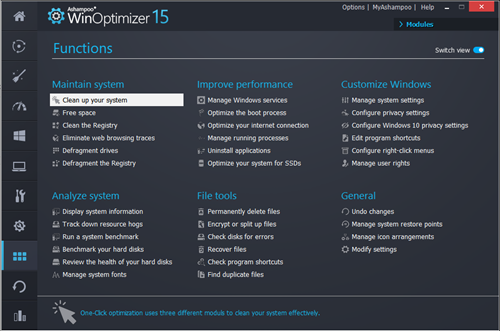 Ashampoo WinOptimizer 15 is a collection of utilities which can help you to remove unwanted things from your computer, tweak settings so that your PC will will work better. Earlier we have posted about the previous version of this Product (version 14). 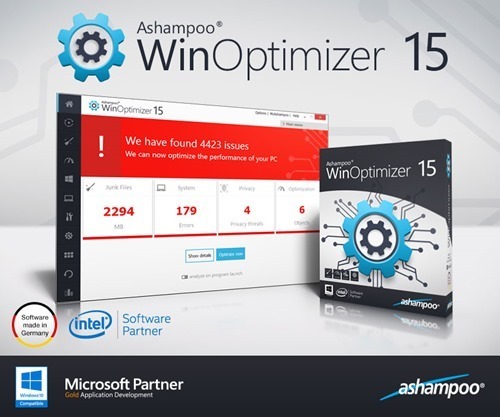 Now the latest Ashampoo WinOptimizer 15 have new and improved features. System Information gives you information about your computer including hardware, software, network and multimedia. Auto clean cleans all session traces, browser cache etc. 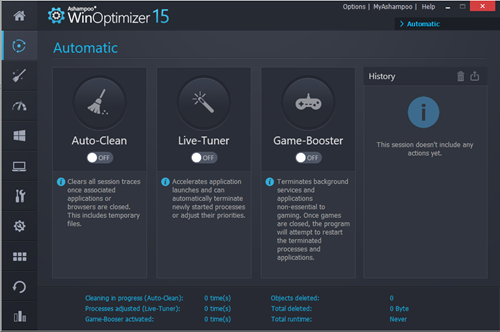 Game booster stops unwanted processes so that you will get maximum resources for your game. Once to stop the game it will also try to restart the processes it stopped. Basic functions includes managing system restore points, you can create or delete system restore points. Customizing windows is having many options such as it allows Auto login of a user, display a custom message on login screen, Aero effects management, File tools and many more. It also includes Mozilla firefox and Internet explorer tweaks for better speed and performance. 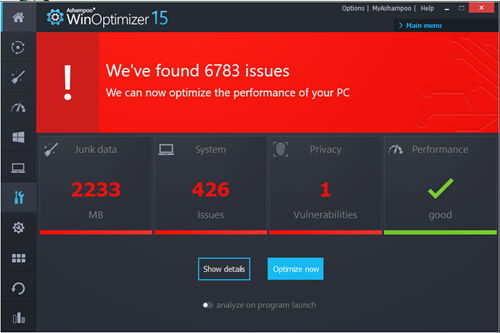 Windows 10 privacy control stops telemetry (the data collected and shared with Microsoft). It also provides option to set Wi-fi, Internet, Location settings etc. 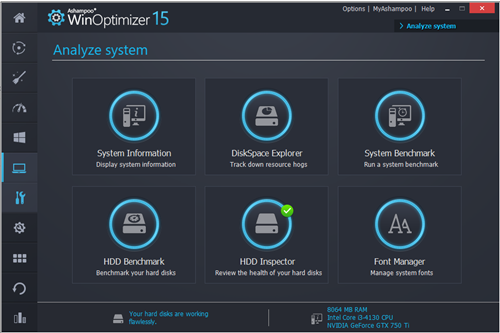 File tools of Ashampoo WinOptimizer 15 have many security tools such as File wiper (Delete files permanently, you may wipe Free space so that no files can be recovered from it), Disk doctor (check Hard disc health), Undeleter (recover files deleted normally) . Link checker check for program shortcuts which are moved or deleted. It also have a duplicate file finder which can save hard disc space. 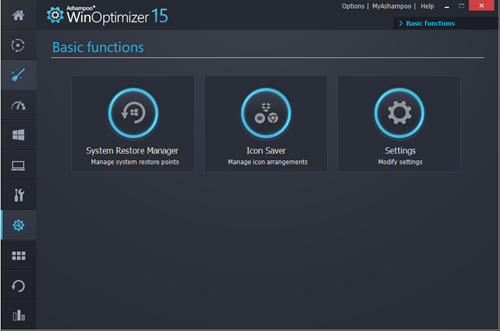 These sections allows to manage windows services, manage auto start programs for faster booting, optimize internet settings, manage running programs and processes. It also have an uninstaller, but it is just an uninstaller, it won’t look for left overs. If you are using SSD you can manage Indexing services, super fetch and Pre fetch, TRIM command, hibernation, defragmentation and boot time defragmentation. by selecting these features you can decide whether you need more speed from your SSD or more life for your SSD. 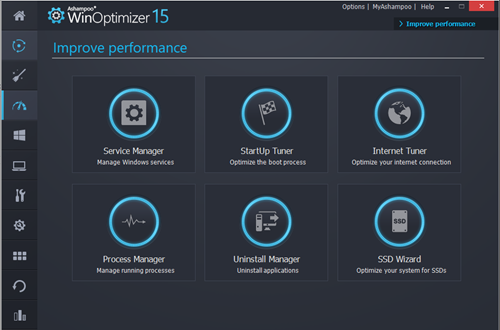 If you are not sure about these features and usage, you can use the one click optimization. 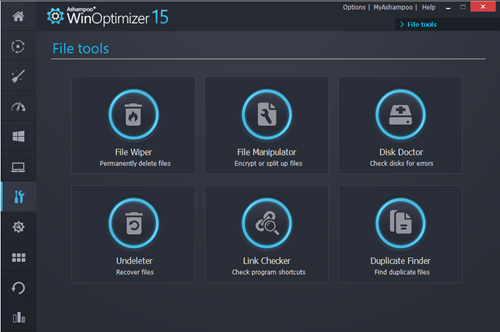 Review and giveaway of 5 Ashampoo photo commander 15 licenses worth $59.99 each.